This week Eureka City Councilman Austin Allison put forth a resolution for his fellow council members to consider that would commit the city of Eureka to using only clean, renewable energy by 2025. “Many-a-cities and countries who have similar resolutions, their year is set at 2040 but I think that’s a little too little too late for a lot of climate issues going on around the world so I would really like to push for a 2025 resolution,” he said in his report at Tuesday evening’s meeting. A request to speak with Allison went unreturned by the Thursday evening publishing deadline. 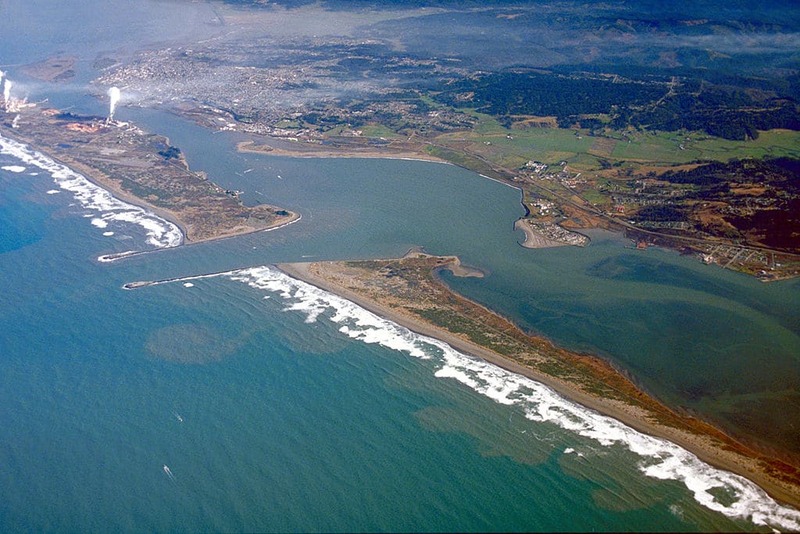 “With the current forecasted models of climate change, the city of Eureka could potentially go partially underwater around 2050 to 2060 unless there’s significant intervention not just by the city or county but the entire planet and I just hope that by passing a small resolution such as this to get on board with 100 percent clean, renewable energy, we can really sort of inspire the local community to follow suit,” he said. The draft resolution Allison passed out to his fellow council members and the public for consideration would require the city to also avoid taking actions to increase fossil fuel usage or delay the 2025 deadline. “It shall be the policy of the city to work with the Redwood Coast Energy Authority to ensure that all electricity consumed within the city limits and [sic] shall be 100 percent clean and renewable by 2025,” the resolution reads. Part of Redwood Community Action Agency’s Community Choice Energy program — a program launched in May 2017 that aims to lower power cost to consumers while putting more emphasis on local renewable energy usage — is something called “REpower+” which allows customers to opt to use only renewable energy by paying a penny per kilowatt/hour more than the standard rate, according to previous Times-Standard coverage. RCEA officials were unavailable for comment before the Thursday evening publishing deadline. “The question is a matter of cost and I believe city staff and RCEA are working on that. We’re a coastal city and we’re very much threatened by climate change, specifically sea level rise,” Allison said. He opted in to REpower+ in June 2017. Humboldt State University Schatz Energy Research Center founder director Peter Lehman said the city and all its facilities, if desired, could switch to using renewable energy but it won’t be local renewable energy. “The city of Eureka, for their needs, they could sign up for 100 percent renewable energy tomorrow,” he said referencing REpower+ program. “It’s not really feasible for the city to generate its own power,” he said. Lehman added that any citizen can opt into REpower+ too but the city can’t thrust it upon someone. More program information is available at redwoodenergy.org. Eureka’s Austin Allison proposes the city use only clean, renewable energy by 2025, by Hunter Cresswell, The Times Standard, April 19, 2018.